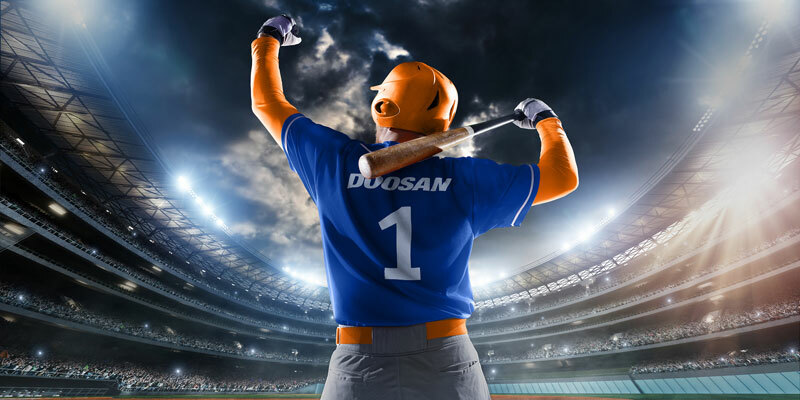 Doosan Industrial Vehicle will be the partner you can count on, with our commitment to you a top priority. 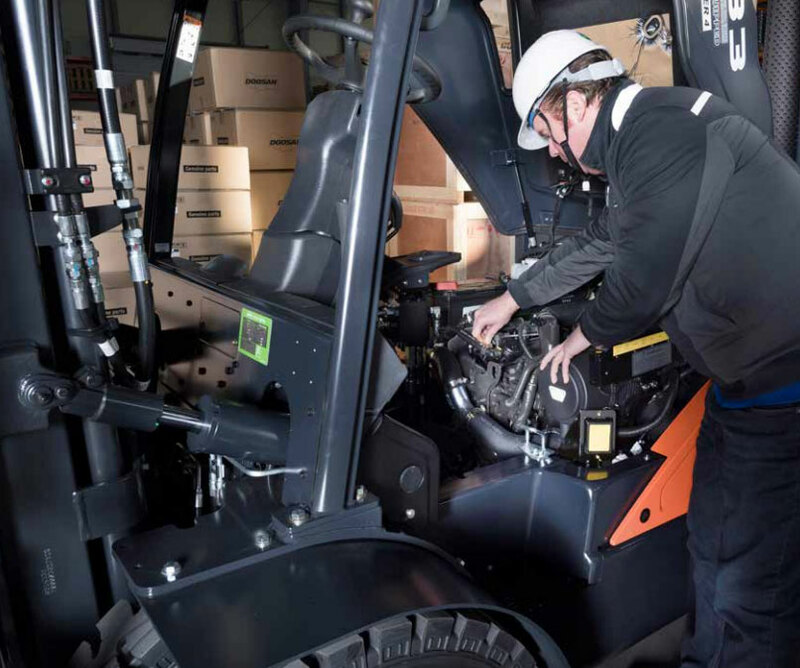 If the operator gets off the seat or turns off the forklift, the hydraulic tilt, lift and lowering system will be deactivated automatically. 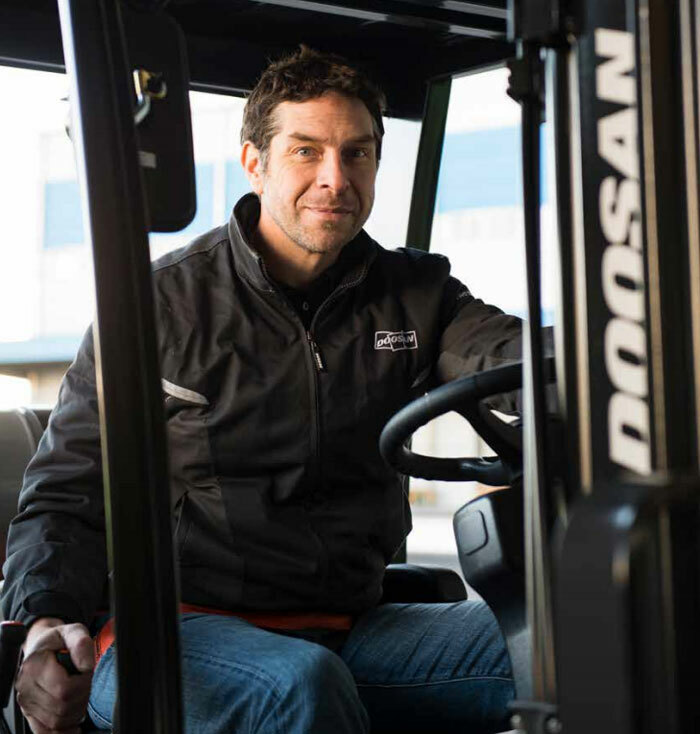 The low profile dash and the sculpted overhead guard with an angled front tie bar provide a clear view upwards and forwards, while ensuring ultimate strength for safety. 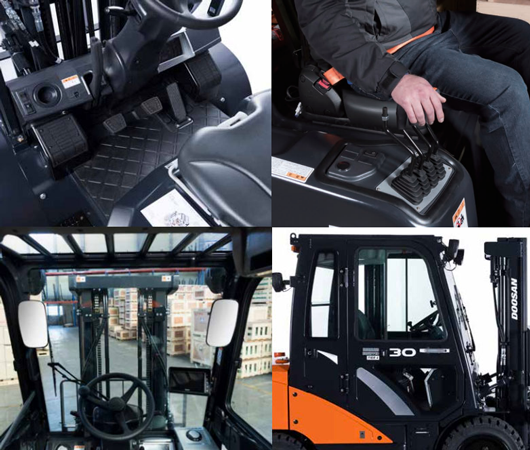 The steering column as well as the suspension seat, armrest and optional headrest are all adjustable to accommodate individual preferences for each forklift operator. The GCT K25 LP engine provides excellent performance, low noise, low vibration and excellent durability. 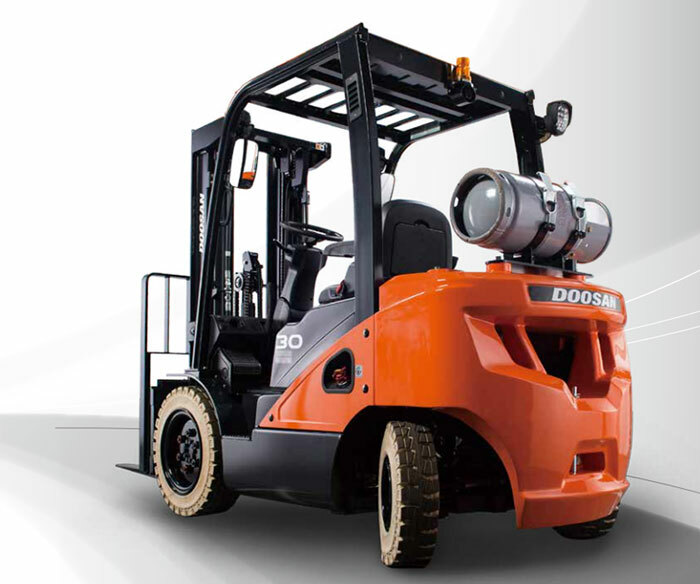 The engine’s reliability is well established in the industry. The LHM is an additional layer of protection to the unit. The transmission oil and engine coolant temperatures are monitored and the LHM is triggered when the temperature goes over the desired level, preventing damage. Operators can easily switch on the ECO mode from the dash. The ECO mode will reduce fuel consumption by 15% compared to standard mode.